Judith Siegel, a Durham resident, sent the Durham HRC the strong letter printed below. 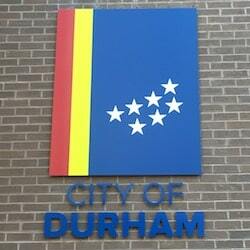 I reside in Durham and have lived in this area for 52 years. I was heartbroken to think that my own city could issue such a hurtful and untruthful statement about “military” policing by Israel. I also watched the proceedings leading up to its being passed and could not believe the venom expressed that day. Could this be my city? It left me in tears. So it was a relief to read your knowledgeable and thoughtful draft report. Thank you, thank you, for helping to right a wrong. I want to express my fervent hope that it will be passed by the full Commission.